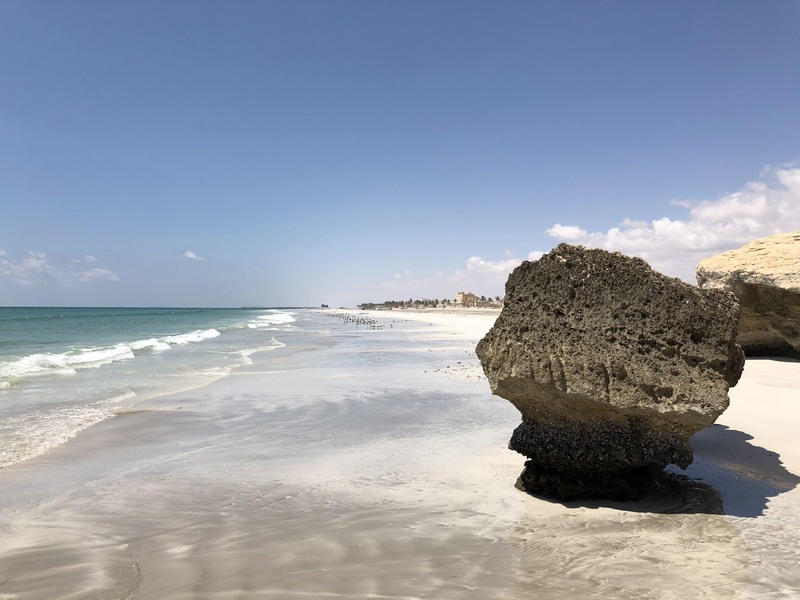 When it comes to the Gulf and the Arabian Peninsula probably first to mind comes the cliche idea of ultra luxurious hotels and waterfront properties, or the glamorous, bombastic shopping malls of Dubai. Well, Oman is a bit different. Probably, quite different indeed. 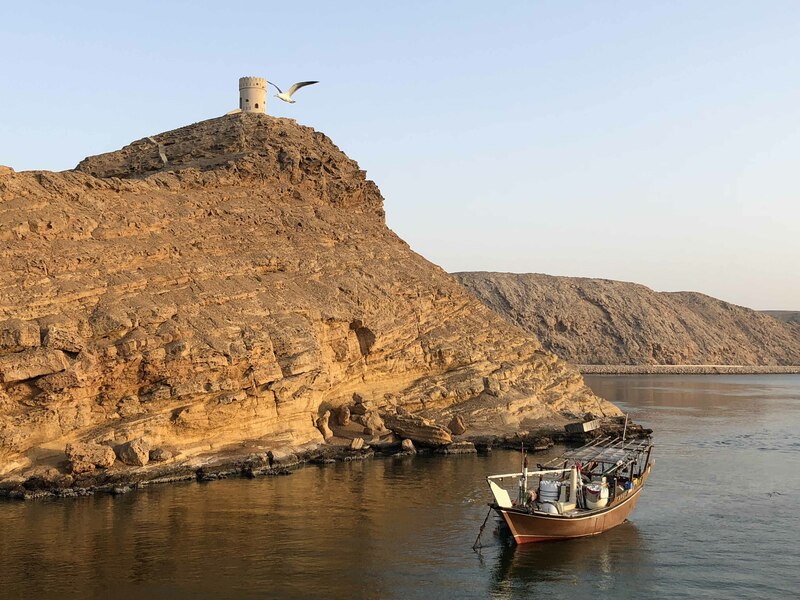 The Omani Sultanate is somehow more laid-back, more traditional (in the good sense), with stronger historic atmosphere. Even the form of Islam (three quarters of the population follow the Ibadi School of Abd-Allah ibn Ibadh, the only remaining expression of Kharijism) that is followed there is mild, and less restrictive. 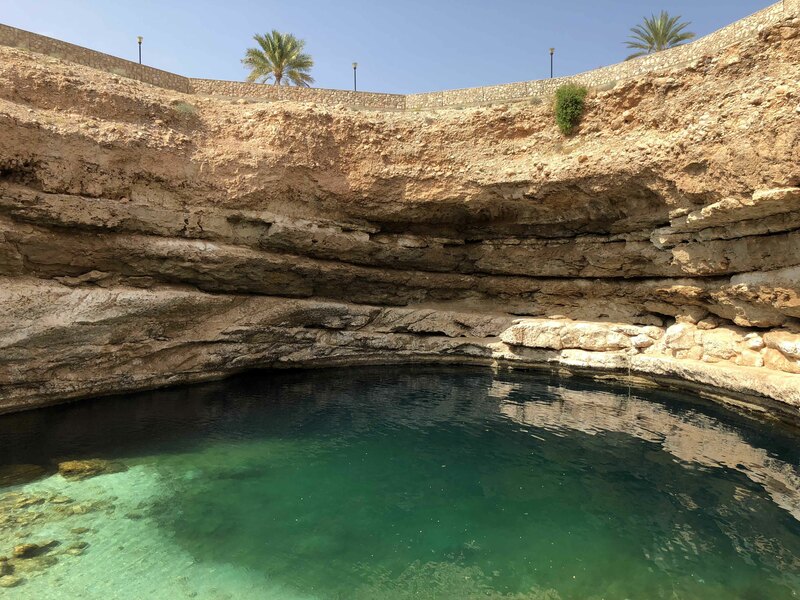 Yes, tourism is among the key factors in the nation’s economy, yet Oman doesn’t try too hard to cater to the taste of the visitors and with dignity and good measure preserves its portrait of a proud Arabian kingdom, where ancient roots and modern vision blend in peace and harmony. The Sultanate of Oman holds a strategically important position at the mouth of the Persian Gulf, on the southeastern coast of the Arabian Peninsula. From the late 17th to the 20th century the Omani Sultanate was a powerful empire, competing with Portugal and Britain for influence in the Persian Gulf and Indian Ocean. Historically, Muscat was the principal trading port of the Persian Gulf region, and among the most important trading ports of the Indian Ocean. Oman is an absolute monarchy. 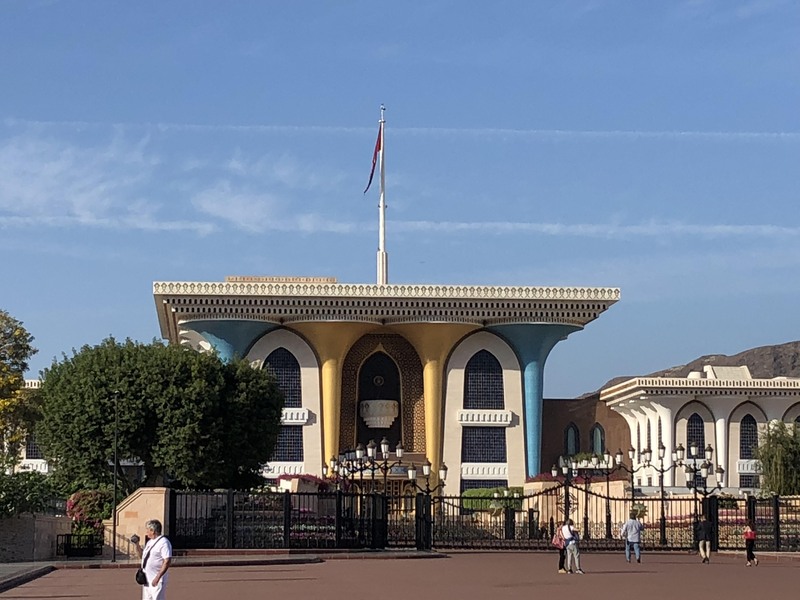 The Sultan Qaboos bin Said al Said has been the hereditary leader of the country since 1970, and is the longest-serving current ruler in the Middle East, and third-longest current reigning monarch in the world. Unlike its neighbors in the region, Oman has only modest oil reserves, ranking 25th globally. In 2010 Oman was ranked as “The most improved nation in the world in terms of development during the preceding 40 years”. 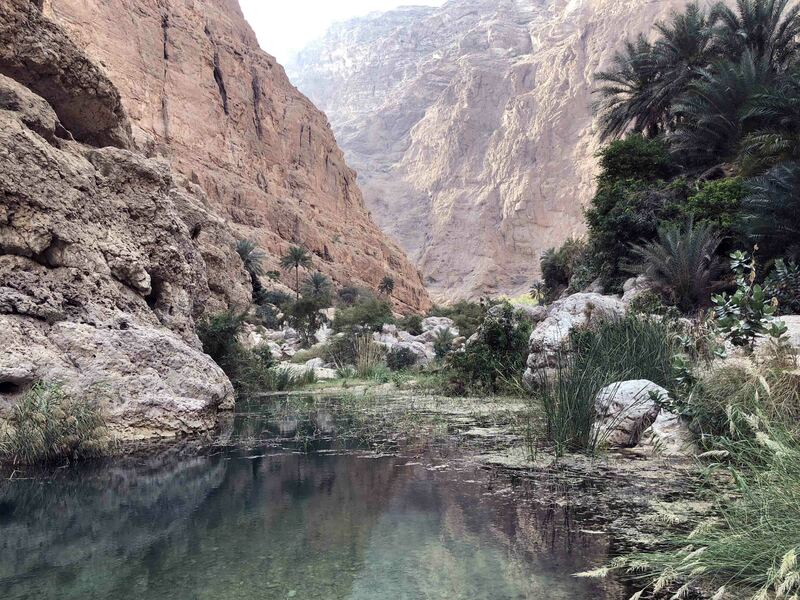 A significant portion of Oman’s economy involves tourism and trade of fish, dates, and certain agricultural produce. This sets it apart from its neighbors’ largely oil-dependent economies. Oman is categorized as a “high-income economy” and ranks as the 70th “Most peaceful country in the world”. But… back to my traveller’s impressions. 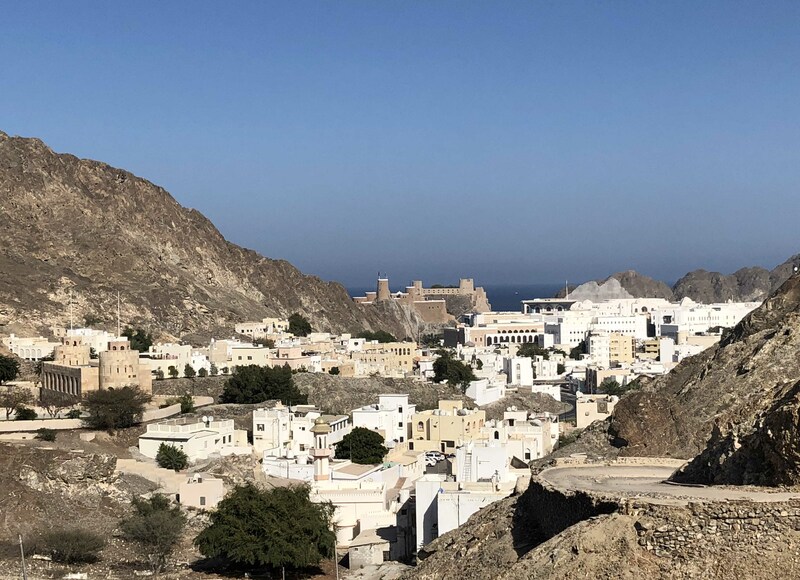 Once you land, the journey naturally starts from the capital Muscat and right away you can see that… it’s not a typical “Gulf country” capital. High-rise buildings, and upscale shopping centres, though present, are not dominating the city landscape, so the city looks somewhat… white and clear, and pretty different from, say, Dubai or Kuwait City. 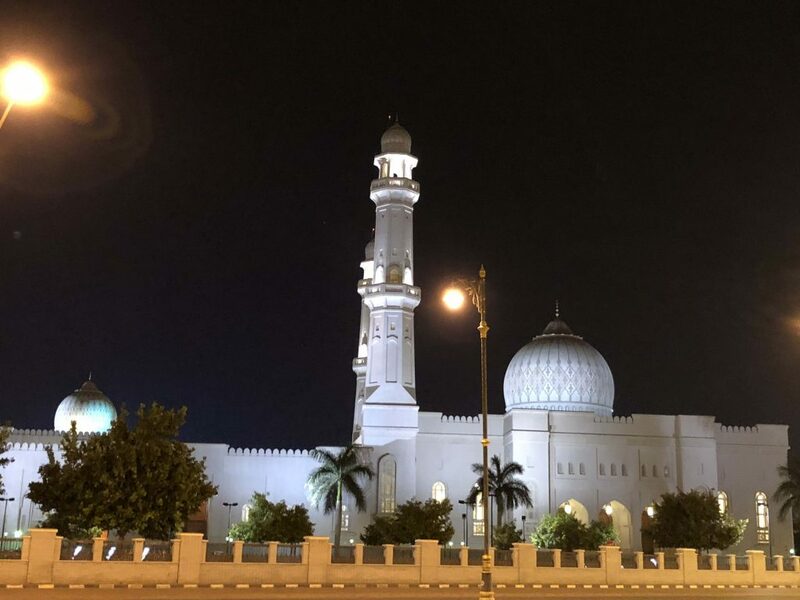 The must-see landmarks are many, such as the 16th-century Portuguese forts, Al Jalali and Mirani, looming over Muscat Harbor, but the gem – without a doubt – is the modern (opened in 2001), marble-clad Sultan Qaboos Grand Mosque. This amazing temple features 5 minarets, 50 m dome and prodigious Persian carpet, and can accomodate up to 20 000 worshippers. 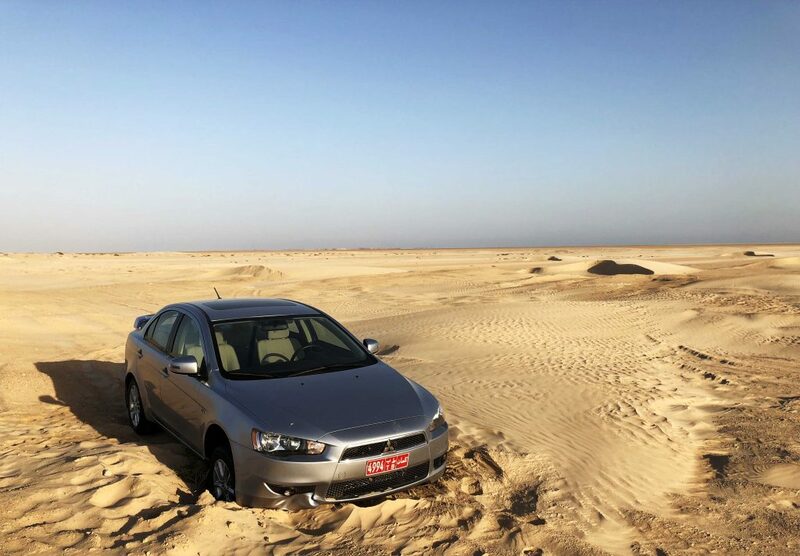 In other words, I tried to reenact the Paris – Dakar rally… only with the wrong car! 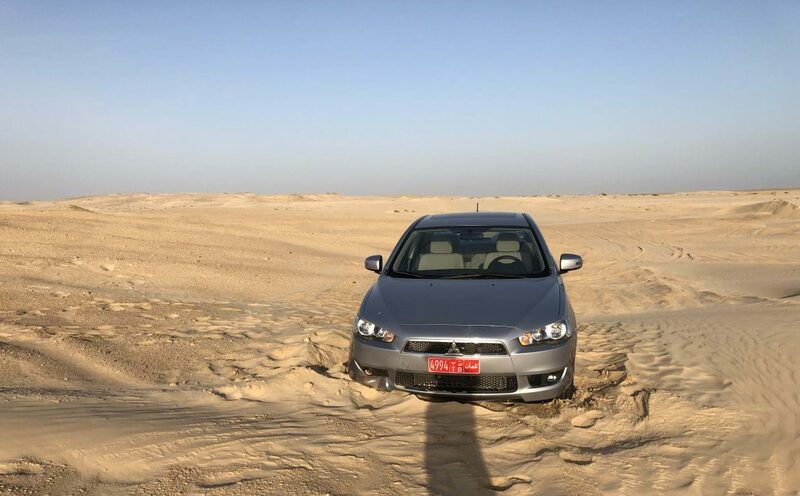 So, the wheels promptly sank into the treacherous sands, the car refused to move further in any direction and I… was stuck in the desert. As Jason Statham would put it, “properly stuck”. Not with you, not in the middle, but alone. 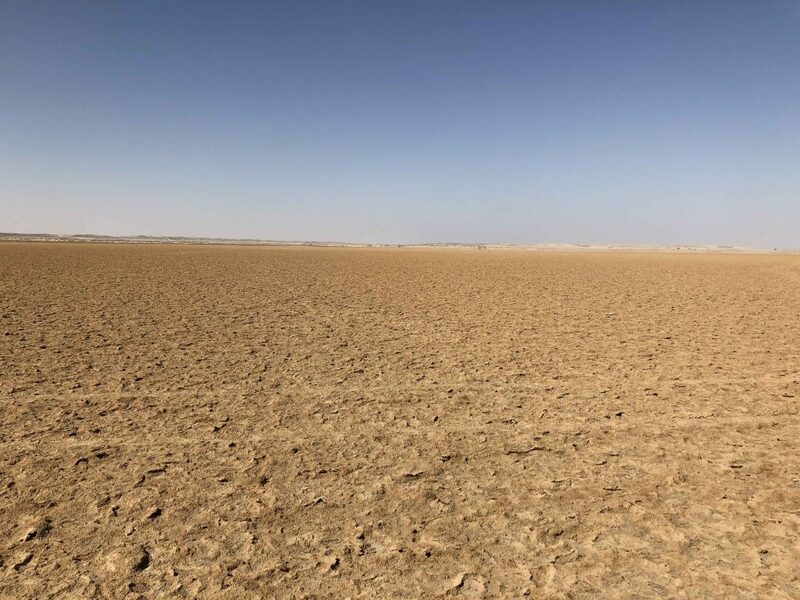 With no person or vehicle visible for miles, I tried to remember how long can a human survive without water, said a few prayers to the God of cellular technology and started desperately to seek help. – Hello, local police, please? – I’m a tourist, stuck in the desert. – Desert is kinda big, Sir. Where exactly are you? – Just a moment, we’ll transfer you to the other department. – This is Omani police speaking. – Where exactly are you? 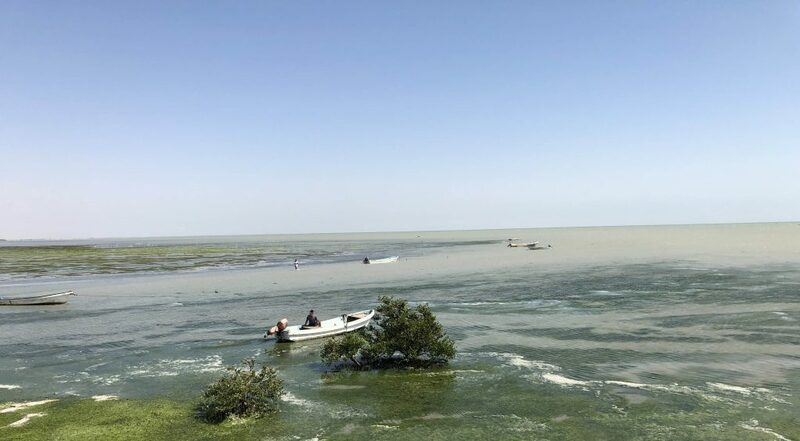 Anyway, it took me a few hours of waiting and numerous phone calls, but the local police finally came with a jeep and saved me from the sands. No charge for the service! What can I say, Omani police is the best in the world! 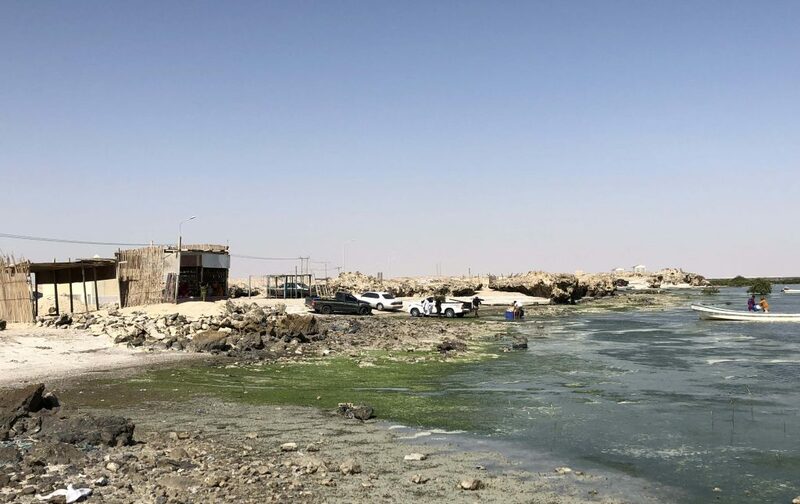 The abandoned fishing village of Filim on the way to Masirah island. No cannibals in sight. whoah this weblog is great i love studying your posts. Keep up the good work! You understand, lots of persons are searching round for this info, you could aid them greatly.